Eurodollar has almost reached its main target, which is near several fibo-levels at 1.3970. Possibly, price may start new correction from current levels. I closed my buy order with profit and right now I’m out of the market. 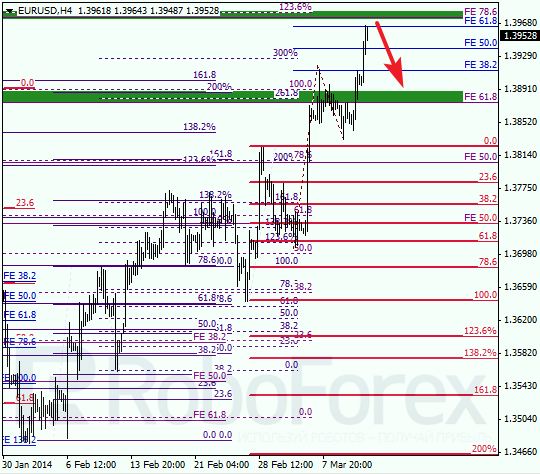 At H1 chart, price is moving inside temporary fibo-zone. Possibly, bulls may reach new maximum during the day, but they’re quite unlikely to push price too high. It looks like price is going to start new descending movement quite soon. 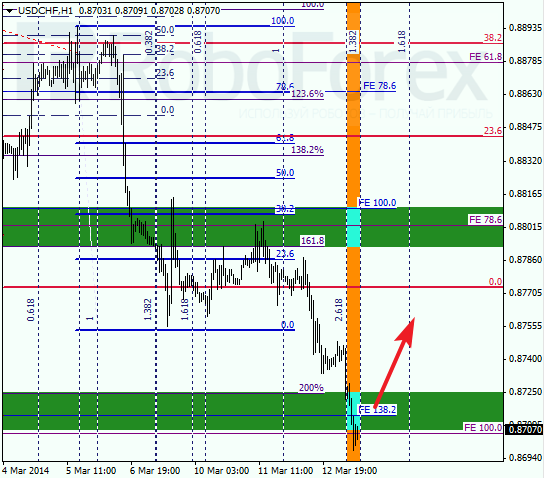 Franc reached lower fibo-levels and Take Profit on my sell order worked. Most likely, price will start new correction in the nearest future and may even make a reverse upwards. 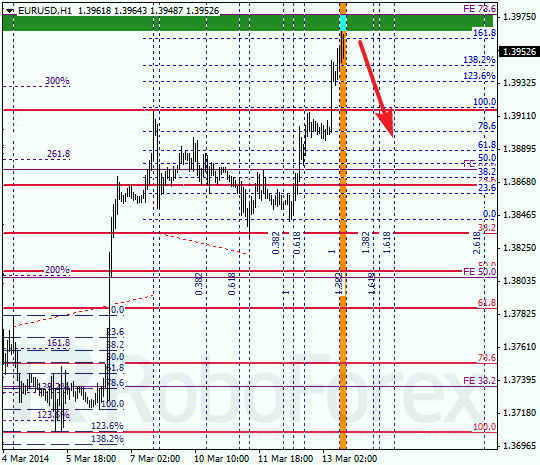 At H1 chart we can see, pair reached its predicted targets right inside temporary fibo-zone. Later price is expected to start new ascending movement, that’s why I’m straying out of the market.